A credit score is one the most important driving factors in all financial decisions. It can make the difference between being denied or approved for credit, and low and high interest rates which, in return, can mean the difference of buying the house of your dreams or being denied. While many people aim to abide by credit score rules, many do not know how a credit score is calculated. What follows will breakdown what a credit score is, how to build a credit score, and how you can improve it responsibly and intelligently. According to Bank Rate, “Your credit score is a three-digit number generated by a mathematical algorithm using information in your credit report”. A credit score is not something that is built overnight, but rather a report built over time. This three-digit number was created to help remind those who have taken out credit to pay back and to do so effectively. 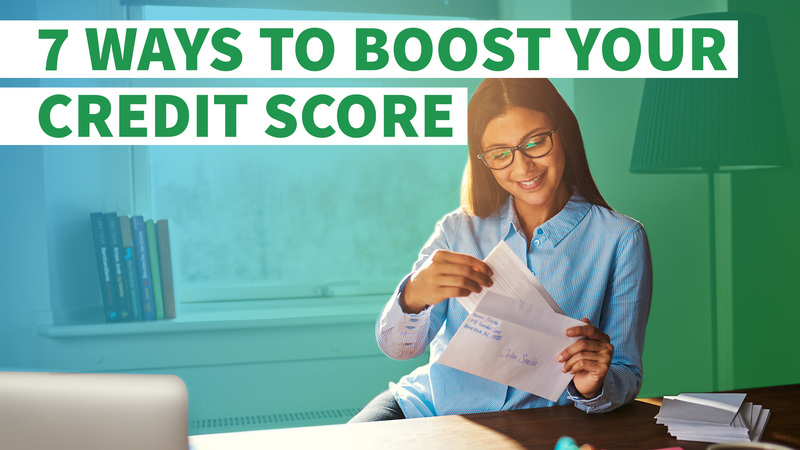 Lenders will use this three-digit score to determine whether you are eligible for loans or credit, increasing the importance of having “good” credit. What is a good credit? While numbers may vary, a general “good” score is anything 700 and higher. Because building credit takes constant work and attention, building credit will take patience but can be done. Monitoring your credit frequently was known to impact your credit score. However with programs like Credit Karma, you are able to monitor your score weekly and ensure that you are on the right path. When checking your credit, you might wonder how that three-digit number has been determined for you. Generally, it is comprised of your FICO score (The name FICO comes from the company’s original name, the Fair Isaac Co. It was often shortened to FICO and finally became the company’s official name several years ago). Most major card issuers and lenders in the U.S. use FICO’s traditional model to decide whether to extend credit to consumers and at what interest rate. So how is your FICO score calculated? 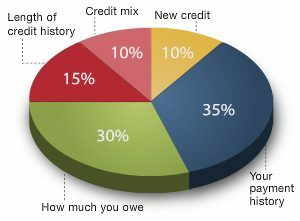 The pie chart to the right demonstrates the categories and their level of importance in determining you credit score. Now, we understand that life can get in the way and being able to make payments can become difficult. Defaulting payments, even for a few days, may negatively impact your credit score and increase your interest rate. Below, we have researched some effective methods and tips that will positively your credit score. While there are many ways you can improve your credit score, there is no quick fix. Beware of any services that promise to quickly repair negative credit scores. While it might not be easy to patiently wait for improvement, it will be worth it in the long run. Below, we have complied the best advice and tips from professionals that will guide you in improving your credit score the smart way. In order to work on your credit score, you first need to know where you are. Under federal law you are entitled to a copy of your credit report annually from all three credit reporting agencies – Experian®, Equifax® and TransUnion® – once every 12 months. You can also go to your bank, purchase a credit report directly from the national credit reporting agency (CRA), or use a credit score service like Credit Karma. 2. Check the accuracy of your credit score. Are you forgetful? Have too much on your plate? Have a million things going on at once? So do we. Which is why considering planning reminders for monthly payments or direct deposits will alleviate some of the stress that comes along with paying your expenses on time. There are many programs that can help you organize all of your bills and ensure that you are on track. Below, we will mention a few ways in which people who are the best procrastinators have found solutions to paying all of their bills on time. Google, iCloud, Outlook, and more all feature interactive calendars that can remind you of simple things such as birthdays and appointments. But did you know that you could also use their interactive feature to remind you of paying bills? Free From Broke admitted his negligence of paying bills on time and built up procrastination. Oftentimes, he even tries to pay a bill a bit before it’s due to make sure that if there are any problems with his payment, he has time to fix it. 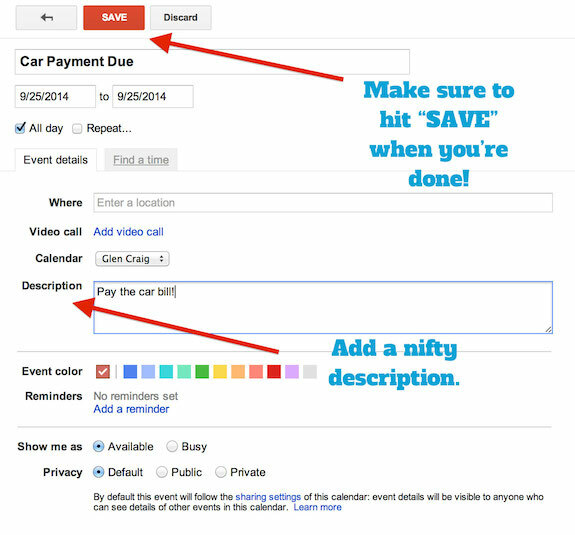 Before we skip to making early payments, let’s get ourselves organized first. As seen in the photo left, you can color coordinate your calendar and use these colors to know what each notification and reminder means. You can change the urgency, the number of reminders you would like to have, include the amount, and leave a note with the link to pay for it, and more. There are also other useful resources to help you stray away from late payments such as online billing tools Mint and and Quicken. Mint can be used on your computer and even has an app that can be downloaded straight to your smartphone so you always have access to your money, bills, and accounts. Setting up a direct deposit is not only more safe and secure than receiving a check, but it’s free and easy. There are many different ways to set up your direct deposit so that the funds are split to go into different accounts. You can split your paycheck and have the money divided into more than one bank account, and can set up different goals the moment it hits your account. Setting up saving goals will help you work to achieve your personalized savings plans. Setting up a direct deposit will also help you allocate your money correctly, so you can pay your bills on time. As shown above, you can have your direct deposit flow into multiple banks and accounts so you can organize your money properly. Your bank can also help you set up reminders, pay reminders, and more. For example, Bank of America provides you with various tools that ensure on-time payments. Look into your bank today to learn about what services your bank has in place to help you with on-time payment plans. Owning a credit card is very important and also a big responsibility. Generally, having credit cards will help improve your credit score so long as the bills are paid on time. However, someone with a credit card history looks more reliable versus someone without. However, one must be aware when charging too much on the credit card. Having multiple credit accounts is important, but sometimes having too many be hard to keep track of. Also, every time you apply for new credit, your credit score drops slightly. One way to manage multiple credit accounts is to space out your applications for credit. This will avoid you loosing any unnecessary points and being responsible for each account. So, you find yourself with no need for a specific credit card. Everything is paid off, there is no balance, and you just don’t really use it anymore. The logical solution would be to close that card, right? Wrong! It is suggested to keep the card inactive and open. Why? Remember that your FICO score is comprised of the length of your credit history. Closing out a credit card by the credit bureau shortens this history and can decrease your credit score. If you had the card for more than 10 years, this will impact your score severely. Everyday, we come in contact with many people who are looking to rebuild their credit. Through our legacy of World Class Customer service that began in 1967, we aim to help you through difficult of times. Through our financing programs, we work with you to achieve budgeted affordable repayment programs that can even been arranged as a direct deposit from your pay. We work closely with the credit bureau and report these on time payments as part of our commitment to credit restoration. Our aim is to help people lead a better life by empowering them to get the things they need today, while building financial wellness to last a lifetime. 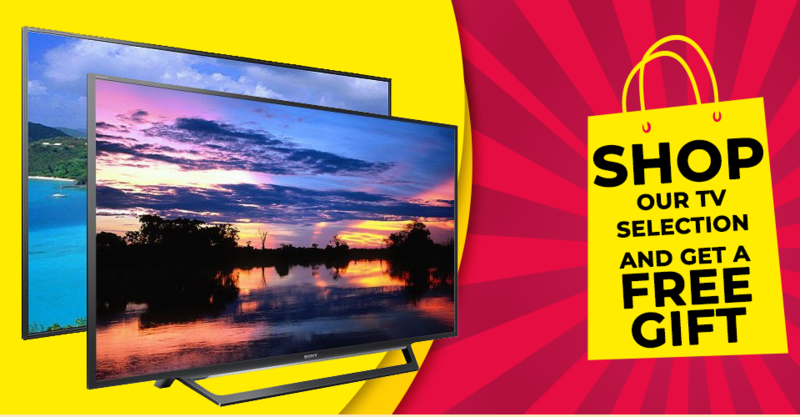 As always, we recognize that price is and always will be a key factor in your buying decision however, we also realize that value is defined well beyond pricing. This is why our team works closely with our customers to make the process easy and pain free.